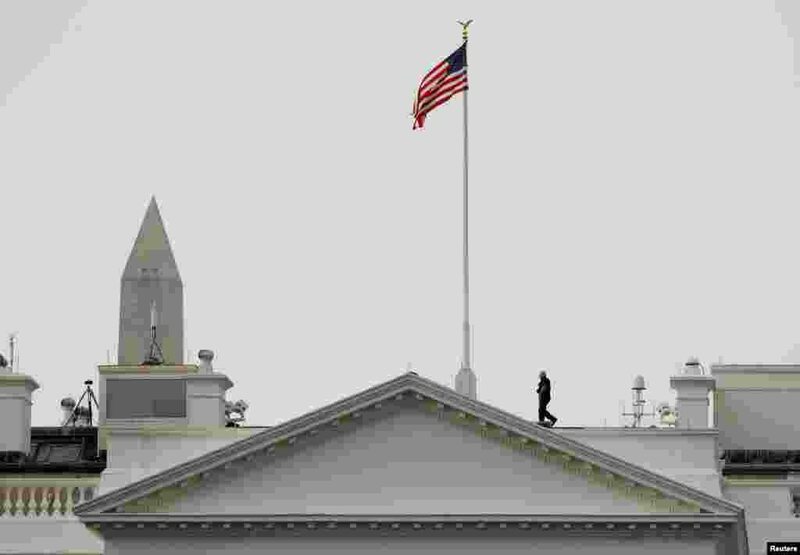 1 The U.S. flag flies at full staff over the White House in Washington less than 48 hours after Senator John McCain's death. 2 Mahmoud Sajan of Jordan competes against Zniollah Poorshab of Iran during the men's-84kg karate match at the 2018 Asian Games in Jakarta, Indonesia. 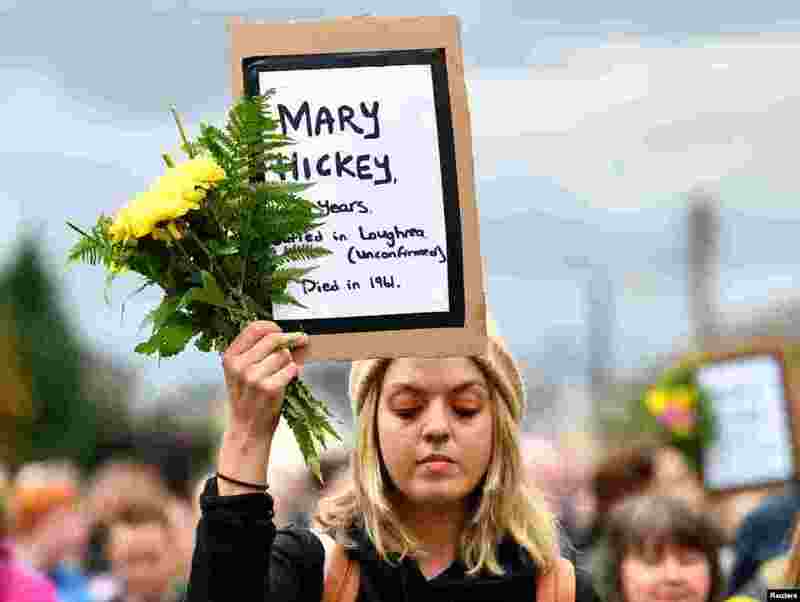 3 A woman attends a vigil at the site of the Tuam babies graveyard where the bodies of 796 babies where uncovered at a site of a former catholic home for unmarried mothers and their children in Tuam, Ireland, Aug. 26, 2018. 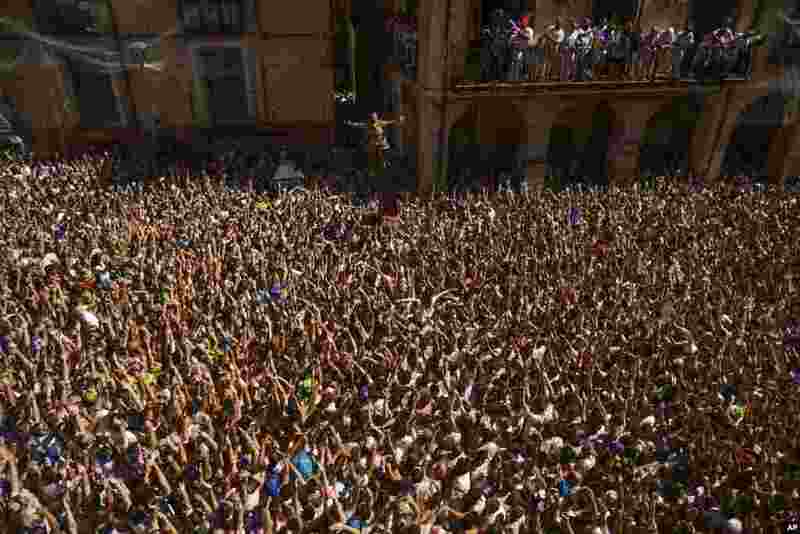 4 The man anonymously elected to be the 'Cipotegato' with his face covered with a colorful mask is pelted with tomatoes by revelers, in the small village of Tarazona, northern Spain.